Instead of toasting bread, throw it on the grill! 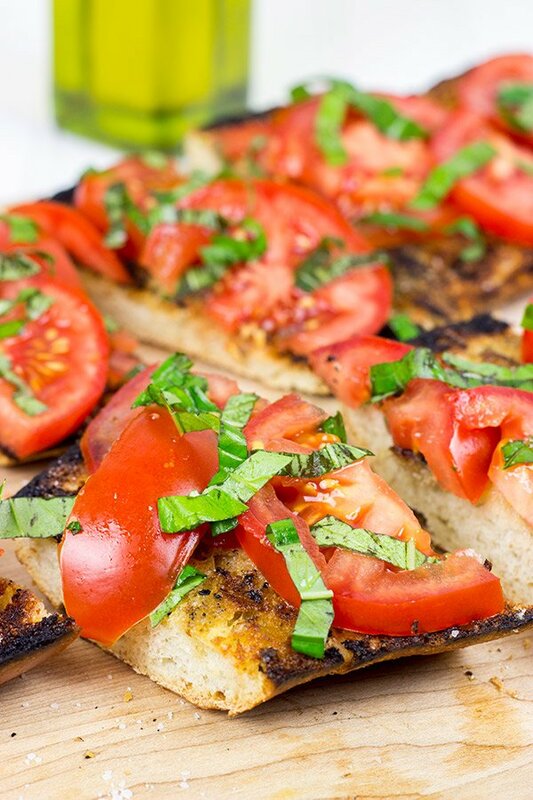 This Grilled Bruschetta makes for a perfect summer appetizer (or dinner)! My wife and I absolutely love bruschetta. 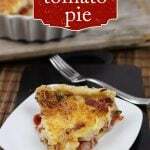 It’s an easy and delicious appetizer, and it’s a great way to use all of those fresh tomatoes coming out of the garden! Back when we lived in Atlanta, we actually ate bruschetta for dinner fairly often. Tomatoes grew like wildfire down there thanks to the summer heat, and we were literally picking bagfuls of tomatoes every couple of days. We couldn’t use them fast enough. After a long day at work, we’d come home and just want an easy dinner. Since it was so darned hot, the thought of actually cooking anything didn’t really appeal to us. Hello, bruschetta! 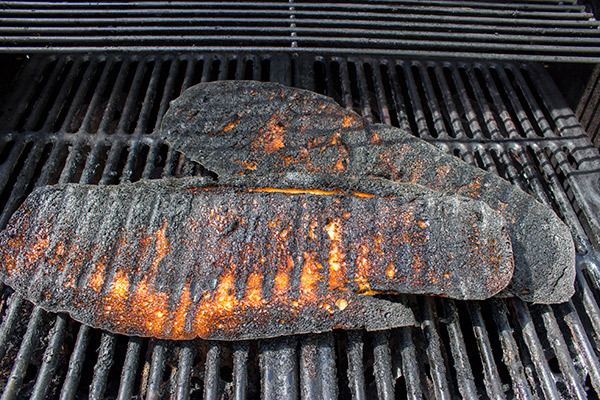 Instead of toasting the bread in the oven, I decided to throw it on the grill this time. 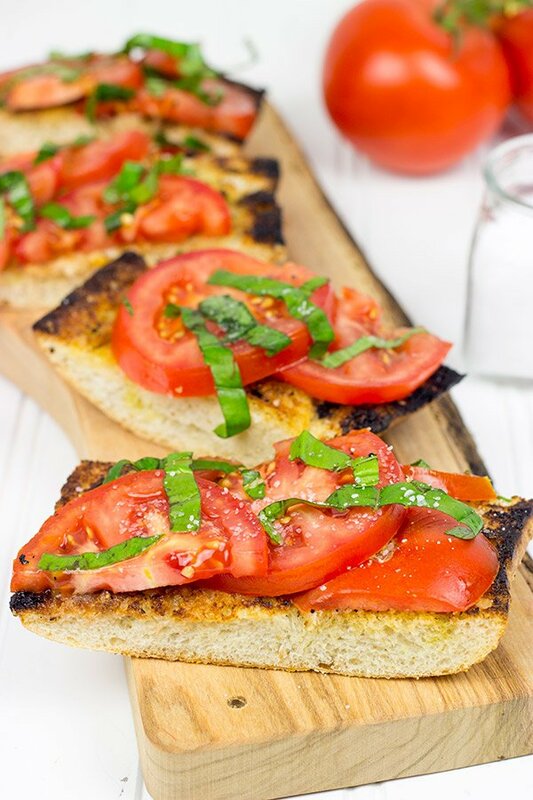 I didn’t think bruschetta could get any better…but oh, how wrong I was! The bread takes on a wonderful flavor from the grill. Combine that with garlic, basil and fresh tomatoes…and you’ve got the perfect summer appetizer. Actually, my wife and I ate this for dinner. It was sitting on the counter when she walked in the door, and she said “I see dinner!” I didn’t put up much of an argument, so we poured ourselves a glass of wine and ate Grilled Bruschetta for dinner. It was amazing! This recipe is perfect for summer entertaining, too. 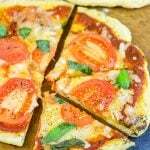 It’s simple, easy and loaded with fresh flavors! But word of caution: the bread toasts quickly on the grill. Very quickly. I put my first loaf on the grill and walked over to the garden to pick a couple basil leaves. (Key phrase: first loaf…) It might have been 3 minutes, but when I looked back up at the deck, I saw smoke pouring out of the grill. Uh oh. I raced back to the grill, but it was too late. I found a seriously toasted loaf of bread. Boooo! But a quick run to the grocery store around the corner yielded a new loaf of bread, and this Grilled Bruschetta appeared soon thereafter. So the lesson here is to watch that grill closely! 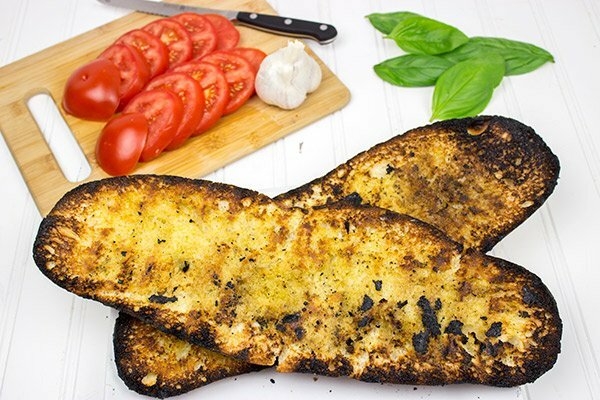 Olive oil has a lower smoke point than other oils, and your bread will grill up quickly. Like 1-2 minutes tops! What are some of your favorite summer appetizers? I’m feeling another quick and easy ‘appetizers for dinner’ night soon! Slice the loaf of bread in half horizontally to create two long pieces. Brush the cut side of each half of bread with about 1 Tbsp of olive oil. Drizzle the top of the bread with the remaining olive oil and then layer sliced tomatoes on top. Sprinkle with sliced basil and sea salt. Delicious doesn’t begin to describe how amazing this looks! Yay! Thanks, Christine…you are the best!! I want one of those bruschettas, a cold Belgian beer (such as Juliper), and to sit around a bonfire. That sounds pretty much like my idea of a perfect evening, Mike! I’ll make a batch of bruschetta and you bring the beers? cant remember the last time i had bruschetta.. definitely craving some right now, looks delicious david. You are not kidding about tomatoes growing rampant here in the ATL, David – I have thrown away so many as they go bad before I get around to using them! 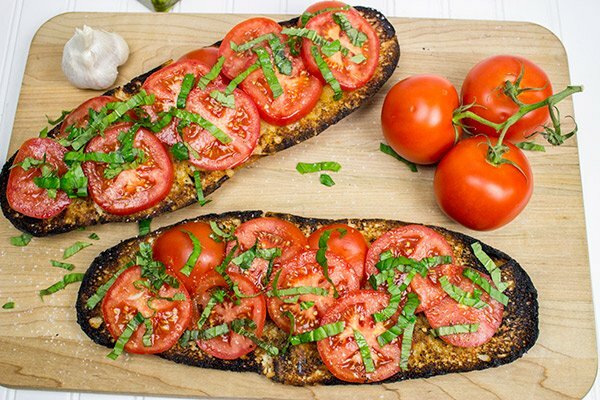 Next time I gotta remember your bruschetta recipe – burnt bread would just enhance the tomato flavor even more – me thinks! Hahaha love you “oops”. This is a classic appetizer done right. 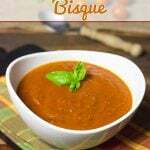 Love it… especially with tomatoes this time of year… oh man must be so good! I don’t know what it is about this time of the year…but I want grilled and I want easy. Combine those two and you end up with Grilled Bruschetta. Minus that whole burnt bread scenario. Oops.